Making an appearance on Access Live to talk about the end of the hit comedy series, the actress known for her portrayal of Penny spills on the little advice she got from Jennifer Aniston. TV bosses have decided to pre-shoot “The Big Bang Theory” finale before the cast closes out the show in front of a studio audience, because they don’t think stars like Kaley Cuoco will be able to control her emotions. The hit comedy will end in May and producers want to make sure their stars don’t lose it on camera in front of fans. She picked up a little advice from a new pal at dinner: “I ran into Jennifer Aniston recently at dinner and I was like, ‘My show is ending and your finale meant so much to me…’ She was so sweet… She then called security… Our court date is coming up,” the actress jokes. 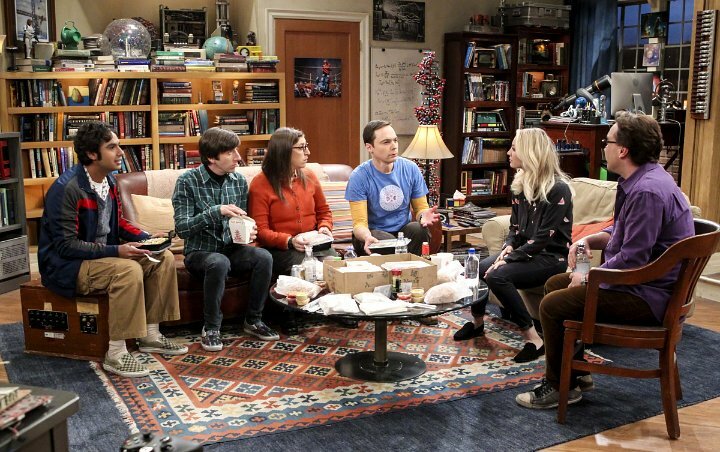 Cuoco also told the TV show the final episode of “The Big Bang Theory” has not been written. “I don’t even think the writers know what the finale is gonna be,” she explains. “It’s not written. We have four more episodes… I know they have ideas of how it is gonna to go but they have been very up front, saying, ‘We have not written this yet, we’re still unsure of a couple of things’. They don’t wanna write it!”.